Michaelson's Appliance Repair, Inc. Proudly serving all of Hillsborough, Pinellas, Pasco, Manatee and greater Tampa Bay area for over 30 years! We really appreciate an opportunity to serve you and take care of your appliance needs. Michaelson’s Appliance Repair of Tampa Bay, services and repairs all major brands of appliances. We employ only the best and highly skilled, courteous, and professional factory trained and authorized technicians. Our Master Technicians have achieved M-CAP certification and are recognized in the industry as the best of the best. This gives us opportunity to stay current with industry standards, and helps us to provide our customers with consistent, high-quality appliance repairs and the best possible service each and every time. At Michaelson’s Appliance repair of Tampa Bay. We are committed to customer satisfaction. Why choose Michaelson's Appliance Repair? We realize when something breaks down, it's more than just a minor inconvenience. It disrupts your daily living. We know how important it is to you to keep your appliances in working order. We will respond to your call for help quickly and efficiently. 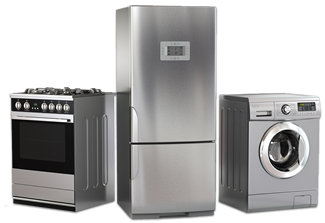 We provide quality in-home appliance repair services at reasonable prices. At Michaelson's Appliance Repair we treat you and your home with respect, and will provide you with the best appliance repair service and care in Florida. Michaelson‘s Appliance Repair. Has been a BBB Accredited business since 1988. And maintains an A+ rating. "Our technicians are located strategically throughout the Greater Tampa Bay area." At Michaelson's Appliance Repair we specialize in high end appliance repairs. Our Master Technicians have achieved M-CAP certification and are recognized in the industry as the best of the best. Repairing Washers‎‎, Dryers‎‎, Refrigerators‎‎, Dishwashers‎‎, Wine Coolers‎‎, Ice Machines‎‎, Stoves‎‎, Ranges‎‎, Ovens‎‎, Hobs‎‎, Cooktops‎‎, Cookers‎‎, Grills, Steamers‎‎, Coffee Machines‎‎, Vent Hoods‎‎, Trash Compactors‎‎ and Garbage Disposals‎‎. Also performing some Installations‎‎ and change outs. "We Specialize In High End Products‎‎". They stands out above the rest we've dealt with. We have a refrige which had a couple problems. We were referred to Michaelson's. Serviceman Justin made 2 trips, first to diagnose the problem and order parts, then to replace those parts. On each occasion, we received courtesy calls confirming appointment times and yesterday, a final call and text to let us know Justin was running very late due to beach traffic. Both he and Michaelson's were consummate professionals. We are very happy with Michaelson's process. From on-line registration to the old-fashioned way (phone), Michaelson's sent confirming notes and a call as well. "Roy" was our rep; he arrived promptly, again - called while en-route to us, and remedied our dishwasher problem in less than an hour. Roy is courteous, knowledgeable & professional. Would highly recommend this company! This is not a totally inclusive list, Please call for brands not listed. If you have an appliance with a brand name that is not listed above, we may still be able to help. Please feel free to visit our Contact Us page. You'll find an easy web form here. Just fill it out and let us know what type of appliance you have and the nature of the repair and one of our professional representatives will contact you with more information. Factory Authorized for most brands. Call us for all your service needs. "If you tried the rest, now try the best." Design & Seo: Specialty Web Designs Inc.